Long, long ago, before I became a CIO, I used to be a happy carefree Virtual Machine systems programmer. But, today, I think about hyper supervisors instead of hypervisors; about the Goddard Unified Enterprise Services and Technology (GUEST) procurement instead of Guest Operating Systems; about losing virtually every bit of my memory instead of losing my bits in virtual memory; about program managers who thrash instead of computer programs that thrash. So, years later, after Federal Data Center Managers struggled with the challenges of consolidating Data Centers, I find myself ?Back to the Future? wrestling (using Judo actually) with Data Center consolidation strategies. But relative to technologies like cloud computing, virtualization, and Web 2.0, what does this really mean if the entire world, or universe (remember, I?m a NASA CIO), is your Data Center? Cloud computing is a general concept that incorporates software as a service (SaaS), Web 2.0 and other recent, well-known technology trends, in which the common theme is reliance on the Internet for satisfying the computing needs of the users. Gartner, in Cloud Computing: Defining and Describing an Emerging Phenomenon (Daryl C. Plummer, et. al. ), calls the trend of IT during the last 15 years, a discontinuity due in part to the ?commoditization and standardization of technologies, virtualization, ? the rise of service-oriented software architectures, and, most importantly, the dramatic growth in popularity/use of the Internet and the Web.? I?m not sure it?s a discontinuity. It has a feel to this CIO like a point of inflection in some kind of continuous evolution ? whether or not it?s periodic or not. One good thing about metaphoric points of inflection is that we know something is about to happen, good or bad. In this risk averse profession, it?s easy to retreat to a ?default deny? mode. But, maybe we should think about the paradigm-changing point of inflection we?re on. The site http://www.cloudsecurity.org has some interesting discussions about security and cloud computing. Not just the traditional ?keep a CIO up at night? stuff, but some potential security benefits that this technology may have. What are the possibilities? In this technology Jurassic Park, the nature of our customers will be to ?find a way? to get to these capabilities ? whether or not CIOs are ready or not. Maybe it?s time for CIOs to be superheroes. Maybe it?s time that CIO?s use their power for good. Maybe we need to learn from our past and change our whole concept of service delivery and security in light of this new future. Just like the ?has been? superheroes in the animated film, The Incredibles, we are no longer needed by our customers to acquire and use these technologies. But the real CIO power comes from her ability to help her organization and her customers use these technologies for ?good?. Oh, the good old days ? when I was a superhero systems programmer. I can?t look back again. But, it?s sure incredible up here in the clouds. Now where did I put that cape? I had a wonderful professor in college, Dr. Frank M. Snowden. He was my Latin professor. He certainly was a memorable person, but two particular things stuck with me. We were translating Virgil’s Aeneid. Ok, so when I took the book out of the library, which was somewhere in 1978, I noticed the last time it was checked out was in 1946. So, I suppose there aren’t too many fans of dactylic hexameter, but I digress. The Latin epic poem was a story of contrasts. Of particular interest to me was the pietas of Aeneas and the furor of Dido. Some words don’t exactly translate well into English. So at the time, this young coed interpreted this respectively as mindless duty and frenzied passion. Not quite, Dr. Snowden said. I’m thinking whatever, magister. So, he told the story of another one of his female students who said, if she were Dido, she would have killed Aeneas dead! He worked himself into hysterics laughing … and told this same story every semester, by the way. I didn’t get it; never got it in fact. The chick was burning on a funeral pyre for crying out loud; I just hoped I never had that much passion. So, my next life moment with him occurred not too long after the Dido incident. At the time, I was a pre-med major and not particularly loving my academic life. He told me the secret of success, that if I studied what I was passionate about and loved, I would be successful. I left his classroom and changed my major to Mathematics and declared my minor in Latin. An action that led this dreamy mathematician to be an entry level GS-7 civil servant at NASA’s <?xml:namespace prefix = st1 ns = "urn:schemas-microsoft-com:office:smarttags" />Goddard Space Flight Center. He goes on to say that passion is the first step to achievement, the foundation for excellence, and the key to success. Right now, in this CIO leadership moment, I find myself searching to find ways to inspire an IT workforce to do things that they wouldn’t ordinarily do. And that inspiration won’t come from the mindless duty of compliance, but from the frenzied passion that burns inside of them. My assistant Charlene asked me last week, where does my passion come from? I couldn’t really answer her. Maxwell doesn’t either, but he gets close when he says find those people who ignite the fire of passion or keep it going … and thank them. It happened that I was on a panel for Black History Month last year at Goddard Space Flight Center. I was asked to discuss the events that brought me to NASA. I thought about my story of Dr. Snowden. I should have thanked him. He died that week. I bet you think this blog is about you. Don’t you? Don’t you? Well, if it is, this burning CIO thanks you. When we become CIOs, we are typically asked to fix some pervasive problem: IT Security, OMB Compliance, failing projects, etc. Lately, I’ve been quoting Teen Talk Barbie, who if she were a CIO today, would say “Being a CIO is hard!” versus “Math is hard!” As CIOs, we have to take the time to understand the environment that we work in. We need to understand the needs of our customers, constituents, and stakeholders in order to help them along the needed technology, cultural, and process changes. Without the understanding and without the requisite change leadership skills, a CIO will beat her head against a brick wall for nine months, turn around and pound the other side for nine months, then quit. Change Leadership is about transforming an organization, through people, processes, and technology, towards some needed improvement or in a new and challenging direction. The art of successfully doing this will energize an entire organization to WANT to go in the desired direction. The art of Change Leadership is not a paint-by-numbers approach used by grade-schoolers to make a still life … it is the ways and means that the change artist coaxes a masterpiece out of the canvas of her organization. It’s not the paint-by-numbers approach that uses only directive communication plans, it’s a flexible strategy that seeks to eliminate barriers to change, implement the change, and integrate the change in the hearts, minds, and souls of those effected. It builds a shared vision with the community that the CIO serves. When we become CIOs, we have to realize we are not working in a dictatorship and that we need change leadership competencies in order move the change agenda forward. The CIO’s failure to effectively execute the art of Change Leadership will result in change that is merely temporary or in 18-month CIO lifecycles. Any of a group of British workers who between 1811 and 1816 rioted and destroyed labor saving textile machinery in the belief that such machinery would diminish employment. Anyone who opposes technical or technological change. My first thought was OMG, what have I done to deserve this? But, after several conversations with him, I came to understand the validity of his position. Technology innovation needs to be responsive to a mission requirement; it needs to improve processes and clearly communicate value; and it needs to produce a return on investment to stakeholders. Last week, I participated in Gartner’s Emerging Technologies Best Practices Council. I enjoyed hearing about challenges that the group, mostly industry, had in emerging technologies management issues. I noticed that the problems in industry are not all that different from the problems in government. There are direct analogs that are applicable to the government. Companies innovate to obtain a competitive advantage. In government, we would do this to assure a needed mission outcome, manage and reduce risk, and improve efficiency and effectiveness. I was reminded of my beloved Luddite boss, who had a valid point about what IT leaders need to do. There has been much discussion on how to promote and encourage innovation in Government. Some even postulate that the government, as a not for profit organization, is not incented to adopt and implement innovative ideas. Indeed there are impediments. I discussed some of them at the American Council for Technology Management of Change Conference. (1) The mindset of leadership in government needs to fully embrace innovation. CIOs need to be strategic and Agency heads need to seek CIOs that foot the bill. (2) The risk aversion culture in government needs be addressed with effective risk management and risk mitigation efforts. (3) While this may seem to be an oxymoron, there needs to be an effective innovation governance established which is the framework for making decisions and ensuring ROI. Addressing these impediments will go a long way in helping us live happily every after in the wonderful world of innovation. Star Trek made him do it. In a sense, the rise of Reginald Van Lee, the man that public and private organizations around the globe turn to for IT solutions, owes the genesis of his career to Captain Kirk and the interstellar travels of the Starship Enterprise. Wow, another IT and Star Trek connection. If you’re a Star Trek fan, nothing is better than being the CIO of NASA’s <?xml:namespace prefix = st1 ns = "urn:schemas-microsoft-com:office:smarttags" />Goddard Space Flight Center. I knew that. Really, here’s why. In Star Trek, this is the training simulation, impossible to successfully complete, that young Starfleet cadets go through in order to test how they face defeat. The only cadet to beat the game was the young cadet James T. Kirk. He does so by reprogramming the game so that he could win. Goddard IT challenges are tremendous. Addressing them requires game-changing strategies that will support and enable mission; implement risk-based IT security measures; improve transparency into IT costs; and improve efficiency and effectiveness. Goddard’s current IT Transformation is a game-changing strategy that will launch IT Management into the future. The Borg are a collection of cyborgs who are organized as an inter-connected collective with a hive mind. They function with a single-minded purpose, transforming individuals and technology through assimilation and adding the biological and technological distinctiveness their own. Goddard has a very disparate and heterogeneous infrastructure. It is a challenge to manage and secure. Through unification and consolidation, we will have a stronger infrastructure that will be easier to secure and easier to manage. However, as a scientific research organization, diversity often has a competitive advantage. Too much standardization could inhibit game-changing innovation – too little standardization could have the same effect. Followers of the Borg would know that their unification was both a tremendous strength and a vulnerability. Through the miracle of IT Governance, we will actively manage the right amount of diversity. Star Trek’s government of the future is an interstellar federal state consisting of member planets and colonies. They operate under a democracy and have a military. Similar to the United States Constitution, there are guarantees of rights to individual members. Goddard’s Federated IT governance supports the individuality of the mission areas while supporting a common defense of a strong infrastructure. It defines processes for making decisions, with input and representation from all mission areas. It supports the mission strategy of NASA and ensures that the IT strategy is supportive and enabling. So, nothing is better than being a Star Trek fan and the CIO of NASA’s Goddard Space Flight Center. As the Verizon FIOS flea would say … Wow. This week, I was briefing the <?xml:namespace prefix = st1 ns = "urn:schemas-microsoft-com:office:smarttags" />Goddard Space Flight Center’s Associate Director in preparation for NASA’s Strategic Information Technology (IT) Investment Board Meeting. We were looking at business cases for some of our IT Investments. 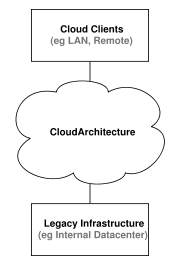 When we saw a few referred to as legacy systems, the definition was not clear in this particular context. I really wanted to tell her it meant “too old to change” – but I didn’t have the heart to say that. Ironically, this week I also attended a session sponsored by the American Council for Technology called “Building a Public Service Legacy”. This is a discussion series where senior government and industry IT leaders share their experiences with government professionals who are early in their career. I was heartened to hear this month’s speaker, Dr. Renny DiPentima, former CIO and Deputy Commissioner of the Social Security Administration. I knew of him over the years and was very familiar with his achievements. What I didn’t know and learned this week, was a bit more about his legacy. His leadership and insight helped shape the current role of the Federal CIO. He shared the story of his first day as a civil servant, starting off as a GS-5 Clerk. I imagined him walking into a New York City office without air conditioning on a blistering summer day – hot, wide-eyed, optimistic, and determined to leave a legacy. Being a CIO these days is no doubt a tough gig. But, the lasting value of a CIO will not be in what she achieves, but in what she leaves behind. I just returned from a leadership retreat with my team. Our ice breaker activity on the first day was to draw names and write a limerick about our team member. It was hysterical. We had fun, we were creative, and we used the art form of poetry to get to know each other. Certainly poetry is an amazing art form that reaches out and communicates in a special way. I’ve watched with amusement the discussion of the efficacy and propriety of blogging and other Web 2.0 technologies by government CIOs. When I started, I wasn’t really sure how it would go; how much time it would take; and if there was any value. Then, OMG, something unexpected happened. does all of this via an effective IT governance. Oh, to be a mainframe IBM VM systems programmer again, where my dump-reading and problem determination skills carried the day. With this gig, my leadership effectiveness is essential. Getting people to know me is critical for this leadership vision and is more difficult for this extremely introverted CIO than hexadecimal arithmetic. Then along comes Web 2.0: blogging, and facebook, and twitter … oh, my! I am now the transparent CIO … What am I thinking? What am I like? Can you trust me? Certainly these are amazing technologies that will help government leaders communicate in a very special way. So, here’s one of the limericks that one of my leaders wrote about me. Whose vision was worrisome – Oh! Poetry and technology, humm. Two more colors on the palette of the change leadership artist. The Application of Technology: But Girls,It Still Works! The Application of Technology: But Girls, It Still Works! In 1977, I launched from high school graduating in the first class of Duke Ellington School of the Arts in Washington, DC ? boldly going where no DC Public School had gone before. That same year, the Voyager Spacecrafts launched. Today, the magnetometers on Voyager 1, built by NASA?s Goddard Space Flight Center, continue to observe and provide new insight into conditions at the outer edges of our solar system. Though the Voyagers? original missions were to Jupiter and Saturn, they could still provide data for astounding discoveries until 2020. Of course Star Trek fans know that Voyager could still continue far after that! 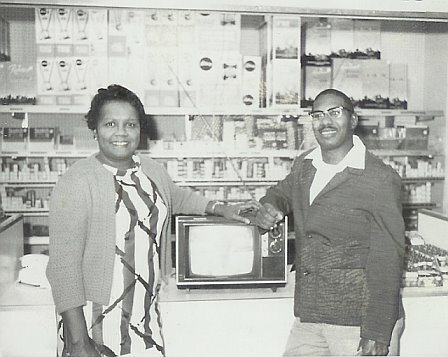 In 1968, my grandparents, won their first color television. This granddaughter was so happy. Now I could see one my favorite television programs in color. By the way, one of my favorites was I Dream of Jeannie ? which later inspired this dreamy mathematician to want to work for NASA. My grandfather, Daddy Carl, who always liked new technology, decided to build his own color television with a kit ? so that he could better understand how it worked and how to use it. My grandmother, Mama, didn?t want to wait and purchased a raffle ticket. Daddy Carl always liked to build new things; Mama always liked to use new things. Many seasons have passed, and they are in their nineties. My sister and I were cleaning old things out of their home. We ran across this television set. As experienced granddaughters, we snuck it out the house to the trash pile. The next thing we knew, he returns from outside carrying the television with an incredulous look on his face ? ?But, girls, it still works!? he said with his British-West Indian accent. Daddy Carl, who was taught to use a car by my grandmother, is facing the possibility of driving to a hospital in Baltimore to tend to Mama. So, he brought a navigation system. Finally, he was frustrated about the difficulty he had been having in using it, true to form, he said, ?I should have built it myself!? Later, true to form, Mama pulled me close to her and asked, ?Baby, has he figured out how to use it yet?? Over thirty years after my launch from high school, and through my journey through the solar system of college, life, and now, a CIO, I?m amazed that I have come to a learning moment that is intersected by my grandparents and Voyager. Author Linda CuretonPosted on October 12, 2008 June 14, 2013 Tags Technology3 Comments on The Application of Technology: But Girls,It Still Works! Politicians have debated the need for immigrants to be able to speak English. I don’t really want a piece of that debate, but, maybe CIOs need to be able to speak English – or more specifically, speak Mission. In other words, speak in terms our customers and stakeholders understand versus IT jargon and Geek-speak. I recently had the pleasure of hearing a Gartner Analyst, Richard Hunter, talk about the merits of CIOs speaking and measuring their performance in terms that the business understands. I explained to him that at NASA, we would understand that to mean CIOs should speak and measure in terms that “the Mission” understands. And in a wonderful example of eating is own dog food, he easily made the translation to NASA-speak. Speaking Mission has important implications for thinking about IT as a “cost” versus IT as an “investment”. Consider … “The Office of the CIO proposes spending $500,000 to upgrade and modernize the network backbone to provide 1G data rates” versus “The Office of the CIO proposes investing $500,000 to upgrade the science building infrastructure to promote collaboration and information sharing needed to create science products and exchange large amounts of data”. I was talking to one of my colleagues at Goddard not too long ago; a very smart gentleman, Dr. J. I was telling him that one of the things that we need to do strategically is establish (and live in) a federated architecture to help us define and identify our “as-is” state, our “to-be” state, and develop our IT Capital Plan for how we are going to get to the “to-be” state in terms of our business, applications, data, and technology infrastructure. He nodded politely with approval and thus affirmed in my mind that indeed I was a very smart CIO. Then he said to me that was all well and good, and a great idea, but what we really need is something that documents what we have, documents our mission requirements, and gives us a plan for how to meet the mission requirements – then we just need to figure out if we can afford it. Gulp. Isn’t that what I just said? I had a flashback to an encounter I had in a store. I ran into Sanford Speight, a former classmate of mine in Mr. Cave’s eighth-grade Latin class. After 30 years, I was surprised I still recognized him and called out his name. I reminded him that I was in his Latin class at Kelly Miller Junior High School in Washington, DC. He said to me, “Oh yes, I remember. You’re the only person that I have ever known, to this day, that could actually speak in Latin.” Boy, I’m glad that I didn’t say to him what I really wanted to say when I saw him … “Mene memoria tenetis?” I suppose only an ancient Roman would appreciate that query. I got a real lesson from Dr. J. that day and from Sanford. The answer was no; I spoke in IT terms and not in terms that were relevant. So, to him, I didn’t say that, or more accurately, I said, “blah, blah, blah”. I was speaking IT jargon and not speaking to him in terms that were relevant to him as a leader of one of our lines of business. Hunter emphasized this in his discussions with us. CIOs who successfully deliver business (Mission) performance through IT, face a future of great opportunity and increased influence when they talk and act like this. Sooner or later they will be viewed as tied to and relevant to the mission. My last two posts were about my grandfather’s technology woes with his navigation system and communicating in “mission-speak”. Current events warrant an update. This CIO granddaughter got the navigation system to work. Daddy Carl was a happy user. The problem was that there was no language selected. Just selecting English did the trick. So, to extend customer fulfillment and delight, I went a step further. I mentioned in earlier post that my grandfather had a British-West Indian accent. So, I changed the voice to a male with a British accent.